Welcome to this episode of the Cookbook Love Podcast. Today I feature an interview with Digna Cassens. Digna lives with her husband of 50+ years on a small ranch in the Mojave Desert of Southern California. They enjoy baking ancient grain breads, cooking, growing fruit trees, chiles and organic vegetables. Digna is a cookbook collector and this stemmed from her career working as a Registered Dietitian in long-term-care, as well as her background growing up in Puerto Rico with a mother who was not only an excellent cook, but a cookbook author as well. 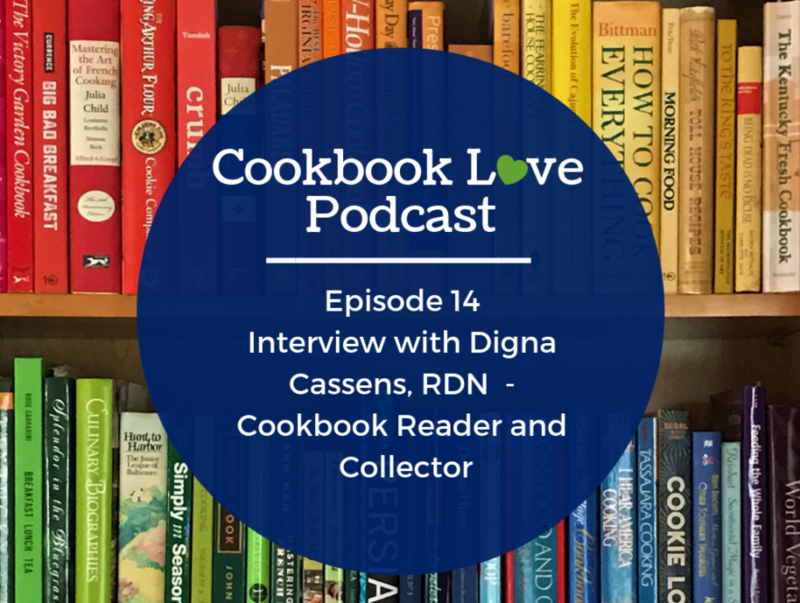 In the episode Digna and I discuss collecting cookbooks, downsizing her cookbook collection, collecting the Time Life Foods of the World Series, and her tips on writing family recipes.